1893: But for disingenuous MP’s putting power and party politics ahead of their own beliefs (no change there then! ), Britain’s women would have been the first to win the vote. This honour was eventually that of New Zealand’s women in 1893. It was hard won. A petition with over 30,000 genuine signatures supporting votes for women was taken to parliament in Wellington, where MP John Hall, one of its most prominent supporters, presented it in theatrical style. Holding on to one end, he threw the huge petition into the air, it unfurling as it trundled the length of the chamber before thudding into the far wall.Fierce opponents of votes for women were led by MP Henry Fish. The name proved wonderfully apt. His counter petition turned out to be very fishy – full of faked names and signatures that had been taken under false pretences. It was fake news. The anti votes for women campaign collapsed. 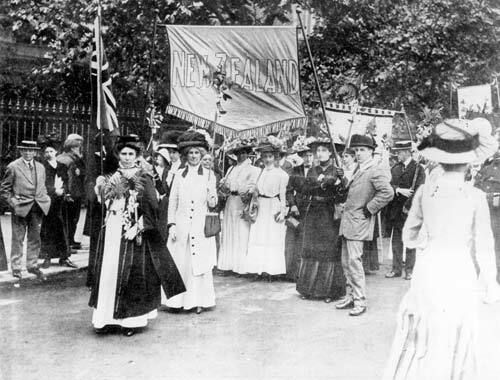 New Zealand women, Maori as well as white (which was different to how Kiwi men had won the vote), were added to their country’s electoral roll.